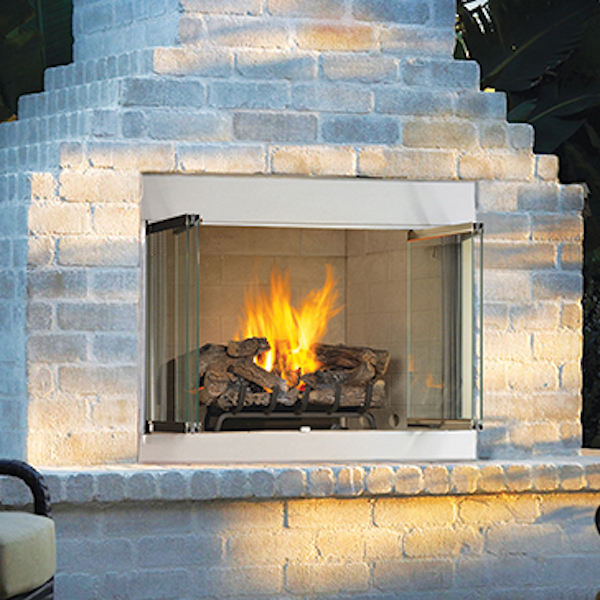 The pleasure of an outdoor fireplace, the contemporary look of stainless steel and easy installation come together in the elegant Odyssey Vent-Free Gas Fireplaces from Astria. The stainless steel exterior complements outdoor kitchens and furnishings and provides weather resistance for years of carefree enjoyment. The tall, dancing yellow flames produce warmth and comfort for any outdoor oasis. With this vent-free design, there is no need for a chimney to obstruct your outdoor view. The unitized, ceramic fiber log set with ember pod adds to the beauty and realism.